Thomas & Friends Batcave Playset Just $16.15! Down From $27! You are here: Home / Great Deals / Amazon Deals / Thomas & Friends Batcave Playset Just $16.15! Down From $27! 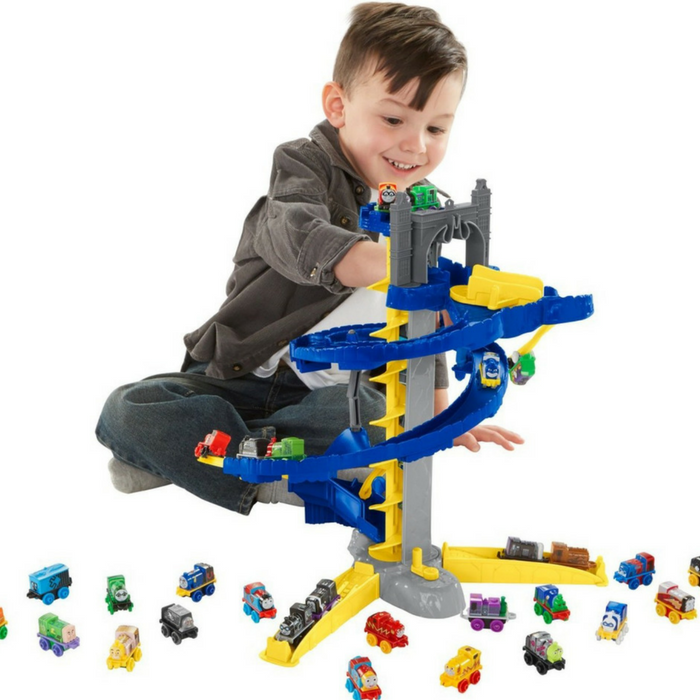 Head over to Amazon where you can score Fisher-Price Thomas & Friends Batcave Playset for just $16.15 down from $26.99 PLUS FREE shipping with Amazon Prime or for orders over $25! Get set for thrilling action and adventure with the Thomas & Friends DC Super Friends Batcave! Crafty criminal Clayface has infiltrated the Batcave and is out to steal Batman’s secrets. Now the chase is on, and you can help the Caped Crusader bring the vile villain to justice! Send your MINIS on a wild ride through the Batcave, past Batman’s computers, gadgets and more. Turn the crank to bring the engines back to the top so you can relive the excitement again and again. You can even change up the adventure to have Clayface chase Batman! With Thomas & Friends DC Super Friends MINIS, the action never stops!